Congratulations to Roger, winner of yesterday's contest! Yesterday's Person-of-Mystery was Anthony Fokker, the Dutch aviation pioneer. I picked Fokker as a tip of the hat to Rob from Amersfoort, another Dutchman, fellow regular in the OPOD contest, and the author of his own blog, Robs Webstek. Anthony Fokker is an interesting person. He was born in the Dutch East Indies and moved with his parents to Holland as a youth. He took an interest in flying as a teen and became the first person to fly an airplane in the Netherlands. 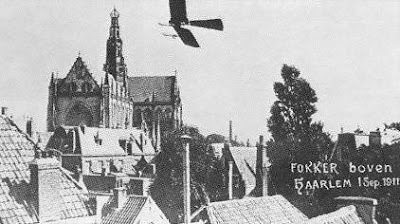 A year after his historic flight, Fokker started his first aircraft company in Berlin. When World War I began, the German government took control of his factory, but Fokker remained the company director. An able pilot in his own right, he became well acquainted with many of the German aces. During the war, Fokker would be known not only for his famous planes, but also for his interrupter gear allowing forward mounted machine guns to fire through propellers. 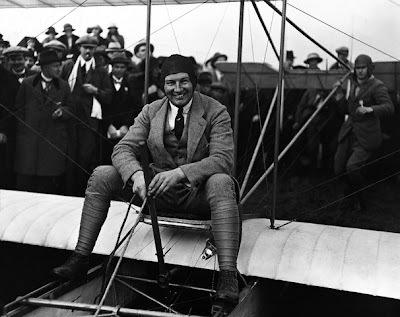 After the war, Fokker was able to return Holland and continue to build successful commercial aircraft until 1922 when he moved to the United States, opened a subsidiary of his Dutch aircraft company (Atlantic Aircraft Corporation), and became an American citizen. Fokker died in 1939 of an infection due to meningitis. 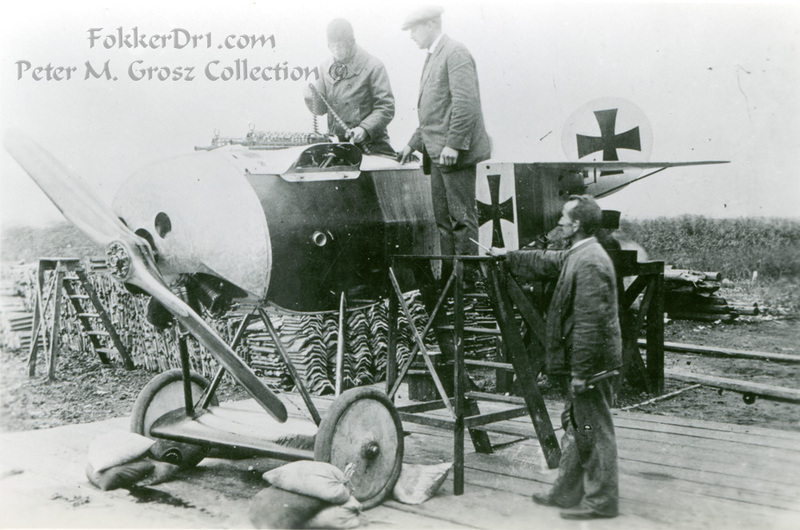 One of the things that fascinates me about Fokker's life is is engagement with the German military. Before World War I, the German General Staff planned for an invasion of France with their famous Schlieffen Plan, which originally called for the invasion of not only Belgium, but also Holland. While I don't think that Germany was solely culpable for World War I, there's no denying that Dutch neutrality was not a great consideration of the German military. During World War I, Fokker worked closely with the German air corps, greatly advanced German aviation technology, and was good friends with many of the same pilots and commanders who would later attack Holland in World War II. I wonder what he would have thought had he lived another year for the 1940 air attacks on Rotterdam. Hermann Goering, who had known Fokker during the war and even worked for him after the war, was during World War II, the head of the German Luftwaffe that threatened to completely flatten the Netherlands. World War I air combat is interesting to me. If you get a chance, check out the 2008 movie titled "The Red Baron." Anthony Fokker is a minor character in the film. Thanks Nate. I guess the Dutch really believed their neutral status would be respected. Also before the two world wars it was not as clear as it is today that the Germans would be the bad guys. Dutch descendants fought the British during the Boer wars in South-Africa. During that war the British applied for the first time concentration camps to house their prisoners. So England was not so popular back then. Fokker founded a large aircraft manufactory, his planes desperately defended Holland against the German blitzkrieg in 1940. A lot of their planes still are in the air (I flew to Vienna with Austrian Airlines in a Fokker 100). 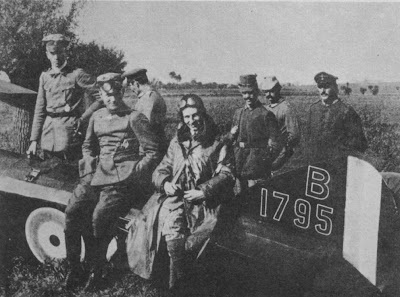 A fascinating glimpse into Fokker's life. I was recently thinking of the Red Baron, Billy Bishop, and Antoine de Saint-Exupéry after having watched a bio of Amelia Earhart. 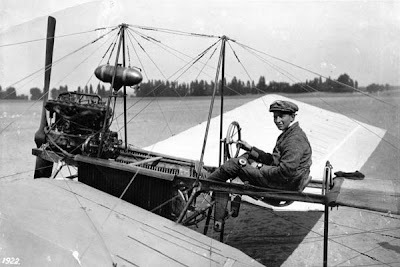 The early days of aviation were immensely challenging. Rob, I agree. Germany gets a bad rap, particularly so for World War I. Britain did a masterful job of propaganda work in the first war and many commonly held myths from the English I still hear repeated by my students. If you haven't seen it, there's a wonderfully tense Australian film called "Breaker Morant" that is set in the Second Boer War. Definitely a must see. This is the most interesting blog that I read this week?! Great post and wonderful pictures. 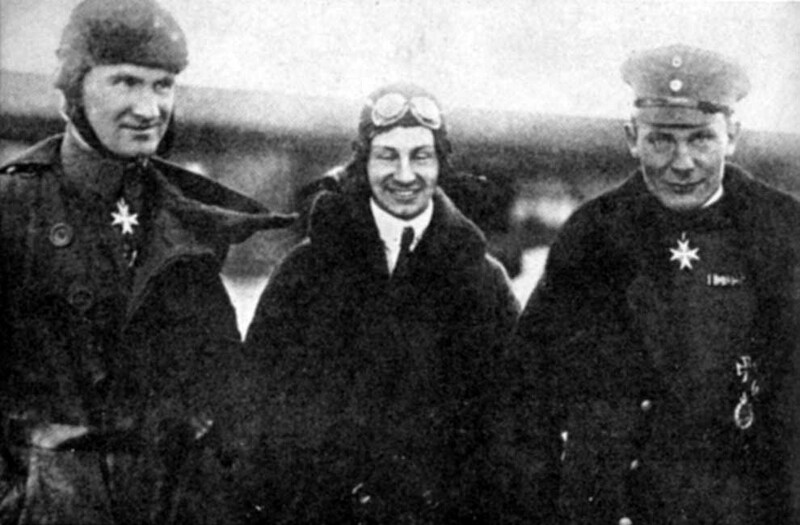 Do you know where you found the image of Bruno Loerzer, Anthony Fokker and Herman Goering? And if it is still in copyright?